Associated Press The Dodgers' Manny Machado hits a home run off Cardinals relief pitcher John Brebbia during the seventh inning Thursday. 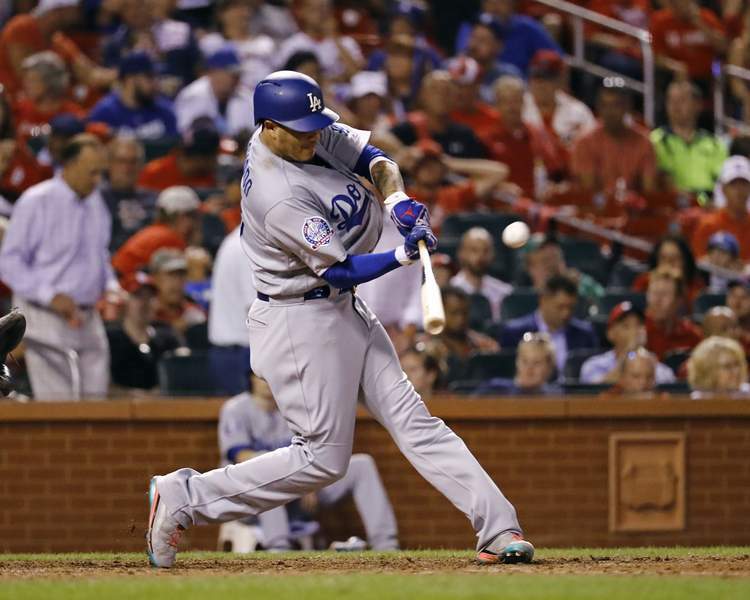 ST. LOUIS – Manny Machado homered and drove in three runs to back Clayton Kershaw, and the Los Angeles Dodgers beat the St. Louis Cardinals 9-7 Thursday night in the opener of a four-game series between playoff contenders. Kershaw (8-5), pitching at Busch Stadium for the first time since taking the loss in Game 4 of the 2014 NL division series, struck out eight in six innings. He gave up four runs – three earned – on eight hits and two walks.